The current projections and outlook for Twin Cities residential remodeling in 2019 are favorable. This article reveals that residential lower-level remodeling has more benefits than the average metro homeowner may be aware of. If you are a homeowner who has always thought that someday you’d finish your basement, start by learning of lower level remodeling’s hidden benefits. Titus Contracting Inc. can help you incorporate your vision along with fresh exciting ideas for you to choose from. Whether it makes an ideal space for a kid’s sleepover event, or Super Bowl party, home office, or creates an independent unit that you can rent out; renovating your lower level can make your entire home function better. 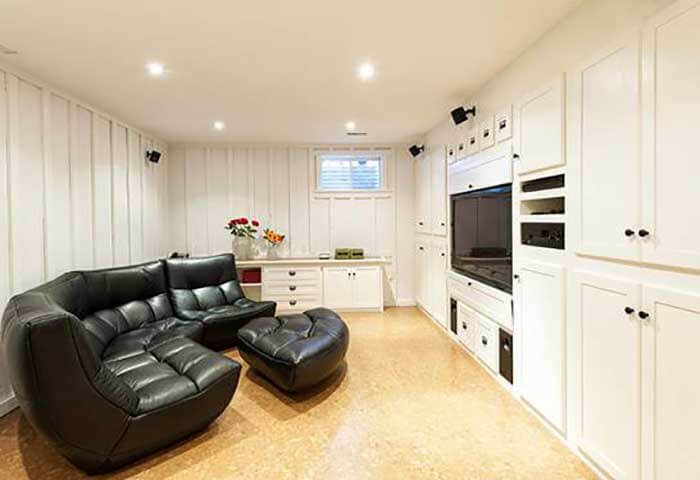 What can you Gain from a Basement Renovation? A finished basement is often a coveted feature of a home. So, how does your lower level stack up? 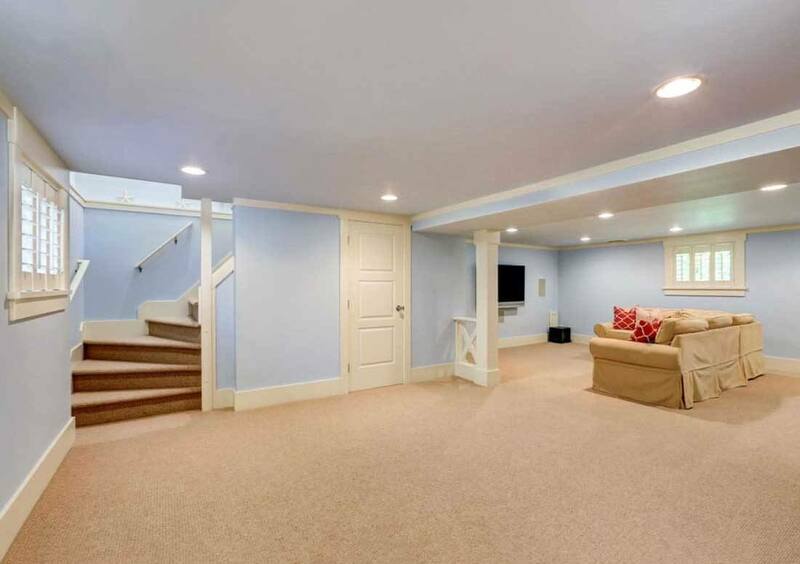 We can help you assess your basement’s potential in a new light. For many homes, the lower level is often overlooked and an under-utilized space. You can enjoy the lower-level amenities that you’ve been dreaming of. If your home has a basement that is chiefly used as a storage area, why not turn it into a great place to hang out? From beautiful home theaters with a high-tech media center, to office space, to an extra bedroom, a basement laundry, or playroom, there are many ways the lower area of your home can be transformed and in a surprisingly short amount of time. Titus Contracting specializes in lower level remodeling in Eagan and the surrounding areas and we are ready to get started designing your new living space! Every season is an ideal time for a basement redo. Likewise, it’s valuable space year-round. You can transform your cold dark basement into a space fit for fun and fancy whether rain or sunshine. If you always wanted a game room or an extra guest room, we can make it happen in your basement! You can know that you are providing better accommodations so that your overnight guests have the privacy of sleeping in or staying up late. Teens often love a fully renovated lower level as it may do double duty of giving them a place where they can feel a bit more independent as they take on intense studies or having friends over. Adding an extra bath may relieve otherwise chaotic moments of everyone trying to get in a morning shower. Another important consideration is the need for proper insulation. As you well know, Minneapolis winters can be especially cold; so it is important your lower level remodel includes insulation installation. While many homeowners are opting to go with hardwood floors instead of carpeting for upstairs spaces; having carpet installed will be easier and warmer than vinyl, laminate, or wood in your basement. Depending on the condition of your existing basement floor, in extreme cases, we may suggest removing the old concrete floor and pouring an entirely new slab. It may be ideal to capitalize on radiant heat or install radiant panels or a fireplace. Also, adding insulation to the walls and ceiling above will provide soundproofing and assist in keeping the upstairs flooring warm. Lower level finishing is a great way to enhance your home’s value and complete your existing building structure. Like in the image above, we can integrate dropped ceilings in a lower level design so that they beautifully hide mechanical ductwork and pipes; your new rooms well feel natural and intentional. No matter what you decide you want your new living space to function as, the professional lower level remodelers at Titus Contracting, we can help make it happen. It is important your lower level remodel adheres to the local ordinances regarding the number and size of egresses required. As a local renovation and remodeling company, we are well versed in all of these regulations. We’ll help you assess which basement features are common to households in your neighborhood. With our team of project managers, you can be assured as much as possible that your return will be worthwhile in relation to the remodeling cost. An average finished lower-level in the Minneapolis and St. Paul area includes a family room with a kitchen for entertaining that includes a wet bar and recessed lighting as well as full bathroom. These percentages rank as some of the highest for return on investment out of all types of home updates available! While most new homes plan for future finishing, older homes sometimes require remedial work such as basement underpinning or the process of lowering the basement. It is still cost-effective as you can convert a crawl space or basement with low ceilings into a room of full-height for a fraction of the cost of a second story addition. Always hire a professional contractor to complete the dangerous excavation and/or structural lift. We don’t consider that it is only about obtaining your investment back, it’s also about the enjoyment you have of living in a space that is ideally suited to you and your family. Your home’s lower level is available floor space that is often equal to your existing first-story floor space. It is often easier than attic renovations as they are often oddly configured, with low-hanging ceilings and angled dormers. It’s a no-brainer in that it helps any homeowner take advantage of the space already enclosed within their house and is an economical way to extend your current living space. Whether you live in a newer or older historic home, an elegant or modest one, there are ways to improve the square footage that exists. Today’s lower level upgrades can make your home brighter and airier than the basements of yesteryears. If you have thought of your basement challenges, we have thought of solutions! You may well want to move in your own time. Today, remaining in your current home and updating it can address your needs for more space or family changes. It can easily be more beneficial and affordable than the time and expense you’ll likely face if a move to another home. A significant portion of a lower level renovation’s expenses should come back to you when you are ready to sell someday. It will set your home apart from others when that time comes. Proper ventilation in basement areas below grade contributes to a higher quality of the air that you brief inside your home. Our basement remodelers can transform a damp, gloomy and tired basement into a desirable, dry, bright and functioning space. Sometimes it is ideal to replace basement windows with glass block to ensure the area will stay dry. Egress windows and exposed lower level patio doors and patios can open up the basement to your backyard. To keep moisture at bay, the Titus team can installed dense styrofoam panels against the exterior block to provided insulation and waterproofing, Depending on what’s in your lower level to start with, we may build a traditional wall of sheetrock and 2x4s to enclose and conceal sections of plumbing, electrical and ductwork as needed. After we’ve reduced the potential for basement moisture, you’ll have a wide range of choice in flooring. Whether opting for vinyl click-together laminate, Luxury Vinyl Tile, wood planks, or carpet, we know that you want a dry and pleasant basement. Vinyl is resistant to scratches and water damage—and keeps cleanup a simple task. An underlayer of cork may be considered as it helps maintain a quieter level that is also warmer. Basements often become the space for overflow items or off-season clothing, decorations, or sports gear. Planning the ideal basement can help you maximize storage and reduce clutter. We work with you to create closets and entire storage rooms that maximize space without taking away for your heavy foot traffic areas. If your home’s lower level is under-utilized or a catch-all for storing seldom-used items, doing a renovation project there can solve a lot of organization issues. And storage can be stylish built-ins or behind or behind a statement door passage. We can bring an artistic touch and attention to detail in your basement re-do so that it is something that you are proud of and enjoy. Consider craftsmen built –floating wood shelves or even a shelving unit that hides a door to your furnace area. Your basement can be a blank canvas for creativity. Make it yours; make it functional and full of your personality. Many homeowners love that lower-level remodeling seems relaxed and permit homeowners more liberty to go with whatever personality and flair they want. Lee Lawrence and Scott Rajavuori of Titus have constructed finished basements for residents in all major Minneapolis and St Paul neighborhoods. Each client started with their own vision of how they wanted to utilize the space, and our home remodeling crews were more than happy to bring that vision to life. For more practicality, add a workshop or hobby room that is tailored to let you mix work and play at just the way you like to. While some desired a fun entertainment room with reclaimed barn wood on the walls, others wanted a hotel-chick guest-room suite and second kitchen. The possibilities for a stylish basement renovation are truly endless. You can create a lot of drama with backlight glass doors and custom artwork. Read tips on what you need to know before beginning on the basement. If you wish, you go green to the extent of using Forest Service Council (FSC) certified wood. They can be used in flooring to framing materials, using reclaimed or engineered lumber eliminates someone harvesting live trees where previously used lumber can yield the same end project. By breathing fresh new ideas and space into your home with timeless and tested design principles, you to make decisions with confidence in the end result. Of equal importance, our skilled contractors help you stay within your budget and align with key home remodeling trends. With our in-house custom carpenters, you know you can trust who is in your home. Countless other homeowners have chosen Titus Contracting Inc. as their remodeler of choice for life! We welcome the privilege of giving you the same great experience. The quality workmanship is obvious when Titus Contracting Inc residential remodelers finish a basement. 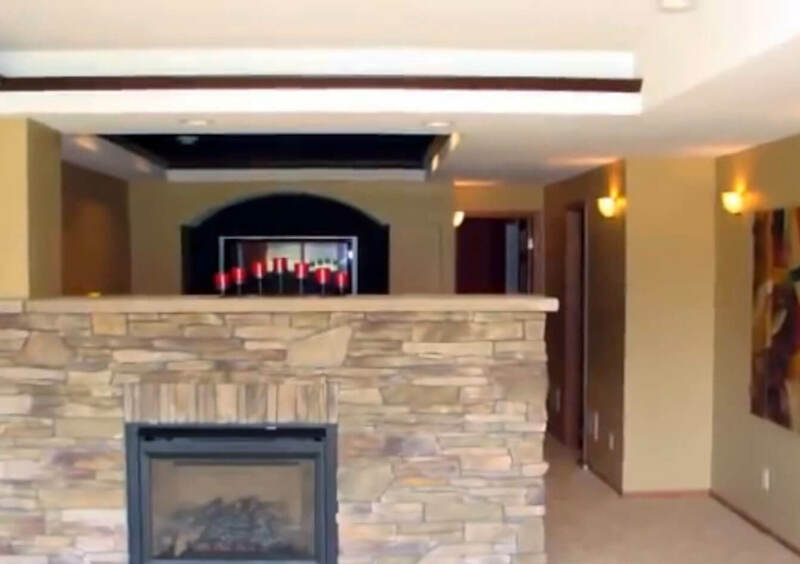 Watch the video below to see how a home in Lakeville MN features a classy new wet bar, party area, movie theater, remodeled bathroom and bedroom. Notice the intricate tile work, stonework and granite countertop. From creative design to expert finish and trim, Team Titus builds excellence fueled by your dreams! Learn how we can provide your Twin Cities home with the lower level remodel it deserves!